Why Convert WAV to MP3 Format? How to Convert Audio with Best Audio Converter Software? How to Join MP3 Music? 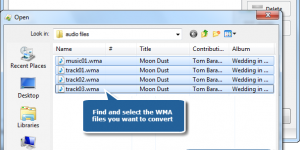 How to Convert WMA to MP3 Format?